Clothworks subs fabric out! Great Job! Clothworks occasionally takes one of our patterns and Photoshops out the cover fabric and subs in one of their new fabrics that is being released. Here's their latest sub out! 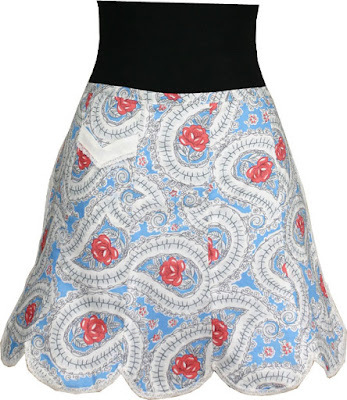 I think they did an amazing job - so good, it makes my original fabric look boring! 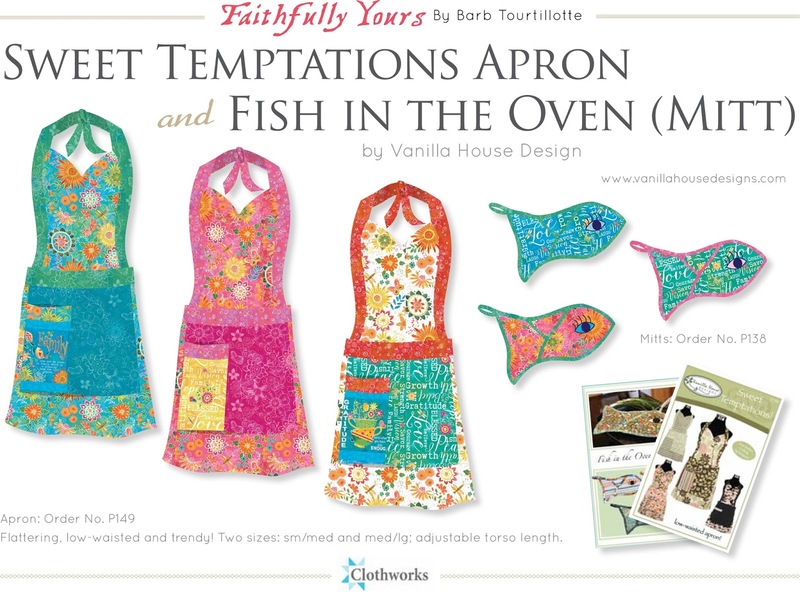 Sweet Temptations! and Fish in the Oven (mitt!)! 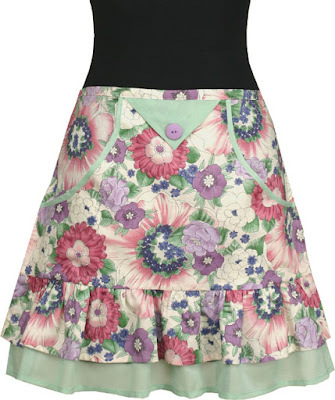 These half aprons, made from lawn, are some of my favorite aprons ever. I like the way they went together, especially Flower Garden. I actually don't wear them, but simply glad I own them. These three samples are the only ones I ever made and still have them (didn't give them away like other samples) - treasures for sure! I really should make some more! Garden Flowers - my favorite! Pretty in Pink (has hidden pockets in the center panel). 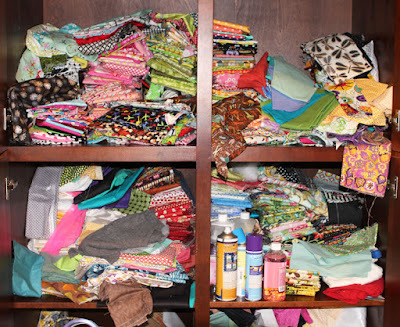 I am always amazed at others' fabric stashes -- their straight stacks of fabric look so perfect - hard to believe people actually can live like that!! Right? 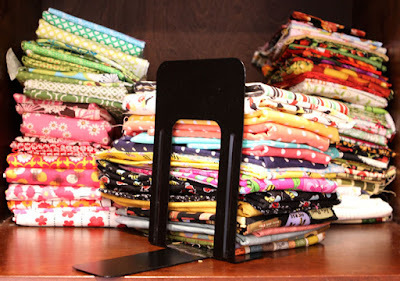 So I am revealing my stacks -- not so perfect, definitely real! 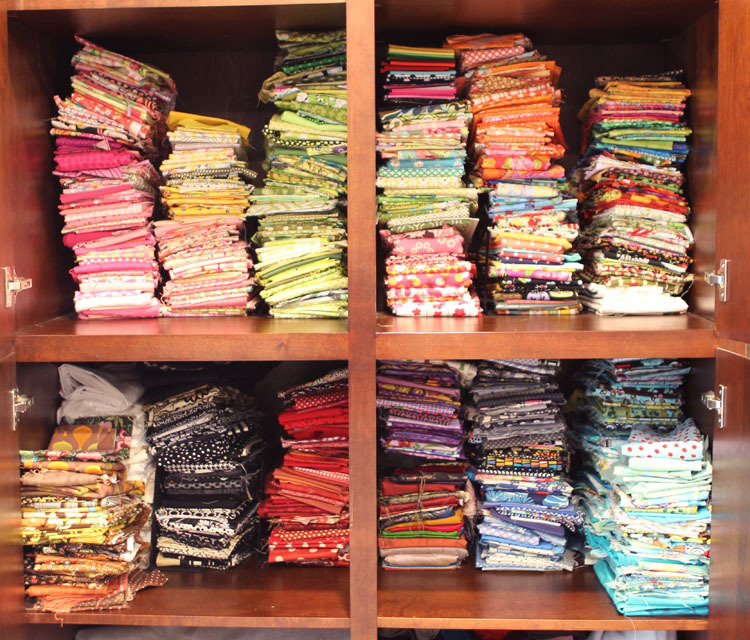 I have an armoire full of fabrics and Stuff! The stacks get pretty bad after awhile, so I go in and straighten things up a bit and it helps for awhile until I need to straighten them up again --- simply so I can function. The stacks are pretty tall so I have discovered a great tip to keep the very tall stacks from falling over -- metal book ends!! Helps a bit! But in the end, they still don't look that great! Just useable!! 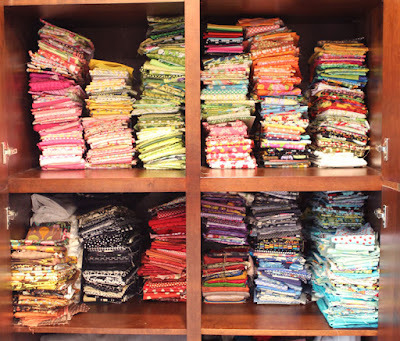 I organize them by color mostly, sometimes by group or theme. I have greens, reds, pinks, blues, turquoises, blacks, whites, purples, yellows, and browns. Christmas, animal prints, kids, batiks, food fabrics, and different designer groups. Etc. Just two shelves shown here! What a mess! 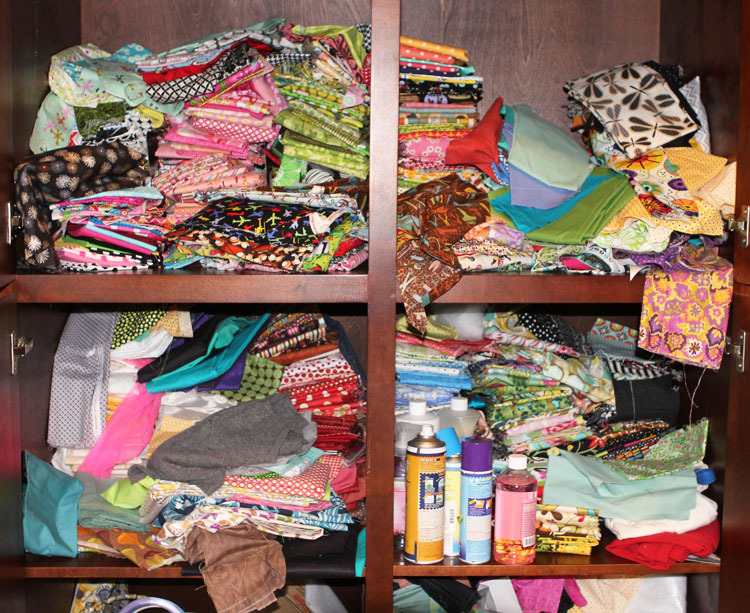 A bit better - but I still spend hours thumbing through the piles looking for a specific fabric. Metal book ends to keep the stacks from falling over! My latest project for P215! 'The Place Setting' is getting pretty close to publishing. 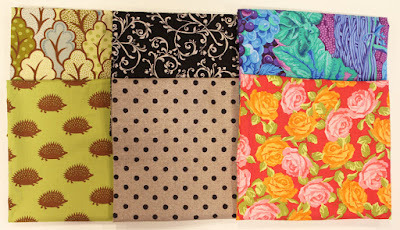 Here's the three fabric sets I am going to use. 'The Place Setting' features a place mat, fabric napkin with napkin ring, and three sizes of bread baskets. Pretty soon I will post the finished items. The place mats and fabric napkins are featured -- they are made beautifully. Can't wait to show! P215 Fabrics for 'The Place Setting'!